NOW Entertainment is an American record label and entertainment company founded by Tony M. Fountain in 2011. NOW Entertainment is based in Gordon, Georgia. NOW Entertainment started with the help of former stickboys member Excluzive. There are several artists signed under the record label. NOW Entertainment has produced several singles and albums. JHugh, one of the artists signed under the label recently released a diss track directed at his critics. The rap single talks about the troubling experiences of his youth as well as his love for thug life. The song has great rhythm and flow that would excite lovers of rap music. JHugh signed to the record label four years ago and is one of the promising rap acts of the future. Some of his tracks are available on the 478-gang vol. 1 mixtape on Spinrilla. 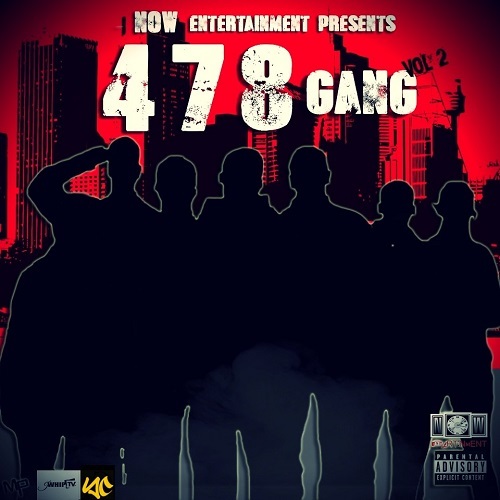 There is also another music project in the works from NOW Entertainment titled 478 Gang vol #2. It features JHugh, Excluzive, Tony M. Fountain aka Precha, Yardcall, SK, and Gudda from American Hustle apparel among other artists. Tony M. Fountain had a rough time as a youth, growing up in Wilkinson County in the toughest times. Despite his family background,Tony has music skills written all over him. He also had the vision to become a star maker. In the middle of his struggles, Tony conceived the idea of Never Off Work Entertainment. LLC. The idea came to Tony in a bank where he and his friend Kryke Kooly were working as Janitors. Tony started the label and started making major breaks when he managed to sign Excluzive brother of Kryke Kooly. Also part of the label is SpiffyDakid, DJ TLK2EM, Silly Slim and Jook Jones. These group of rappers are part of the making of the 478 Gang Mixtape on Spinrilla. The mixtape is a glimpse into the new lives of the artists and how much their lives have changed. For these artists, their dark pasts have become a light into their future. Tony M. Fountain managed to get them to the top, due to his big vision and hardwork. The hardwork of Tony and the talent of his artists like Kryke Kooly, Beezy baby, Excluzive among others has commandeered listenership and streaming of NOW Entertainment's music on Spinrilla, Datpiff and MyMixTapez. As a result of the success of the record label, there is a long list of rappers who want to be part of the NOW Entertainment family. NOW Entertainment is currently setting trends in Atlanta and other cities of Georgia. Looking at their social media pages, one would be shocked at how an idea few years ago has transformed into reality today. As underground music transforms into mainstream music, Tony and his crew at NOW Entertainment have began work on a new music with the aim to make solid hip-pop music available to more hip-hop fans. This would ensure that the real hip-pop would not be underground anymore. Since 2011, NOW Entertainment has provided a reliable platform for recording and producing high quality music. NOW Entertainment is also leading the mission to revolutionize indie rap through technology. The record label also has other big visions as they formed their own studio & publishing company as well. To learn more about NOW Entertainment and get access to their music, follow them on links below.